That’s the resolution two debating titans will take up tonight in Toronto in a matchup that’s likely to attract a lot of attention around the world. Former British Prime Minister Tony Blair, a convert to Catholicism, will argue in favor of religion’s positive impact, while well-known atheist Christopher Hitchens will take up the opposite view. 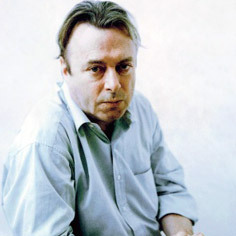 Hitchens, a British-born American who is battling esophageal cancer, has been a scathing critic of religion. He has long attacked Blessed Mother Teresa as the “Ghoul of Calcutta” — charging her with using her fame to promote the “fundamentalist agenda” of Pope John Paul II. Two weeks after Blessed Mother Teresa visited the Basilica of the National Shrine of the Assumption of the Blessed Virgin Mary in Baltimore in 1996, the Baltimore Museum of Art hosted a showing of Hitchens’ documentary called “Hell’s Angel — Mother Teresa of Calcutta.” The Catholic Review reported that the showing attracted protestors and sparked outrage across the archdiocese. Bill Blaul, then the communications director for the Archdiocese of Baltimore, told The Catholic Review that he turned down a request from the video’s producers to appear with Hitchens at a panel discussion at the event because the atheist’s reputation as a “religion hater and Mother Teresa basher” had preceded him. Blair, who established Blair’s Faith Foundation in 2008 to promote understanding between religions, has announced that he will donate his speaking fee for tonight’s debate to his foundation. The former prime minister, who served in that capacity from 1997-2007, has also established the Tony Blair Sports Foundation to increase opportunities for young people to participate in athletics. Thousands of people around the world are paying money to watch tonight’s debate online. Here’s a snip from Winnipeg Free Press. The question to be argued before some 2,600 audience members is a chance to hear two important voices debate religion’s impact in an era of globalization, said moderator Rudyard Griffiths. “With Tony Blair we’ve got someone who has wielded power at the highest levels but also has an enduring belief that faith can make the world a better place,” said Griffiths. When the event, part of the Munk Debates, was announced last month, Blair said he had a “formidable opponent” in the British-born turned American journalist, author and Vanity Fair columnist. 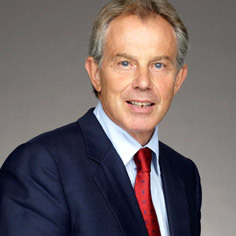 “Understanding religion and people of faith is an essential part of understanding our increasingly globalized world,” said Blair, who released his memoirs in September. Votes will be taken at the beginning and end of the debate Friday at Roy Thomson Hall to determine who had the more convincing argument. Results will be posted on the Munk Debates website. This entry was posted on Friday, November 26th, 2010 at 6:55 am	and tagged with atheism, canada, christopher hitchens, debate, mother teresa, religion, tony blair and posted in In the news. You can follow any responses to this entry through the RSS 2.0 feed.